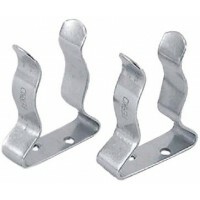 Mounting band snaps on any rail, lifeline or stanchion. 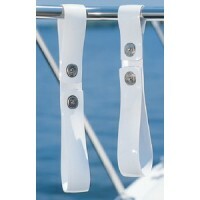 Snap bottom band around coil of rope, wire o..
Rail mount UV resistant vinyl strap securely holds rope, cords, etc. 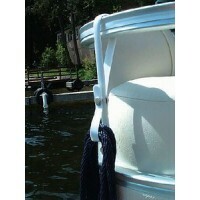 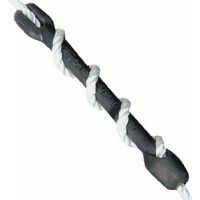 Fits: Large Rail 1-1/2" - 2"..
Mooring snubbers prevent mooring line breakage along with compensating for sudden jolting and excess..
Rail mount UV resistant vinyl strap securely holds rope, cords, etc. 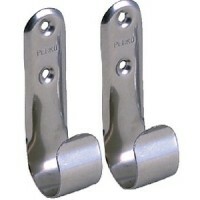 Fits: Standard Rail 1" -1-1/4"..